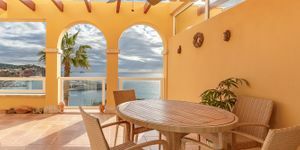 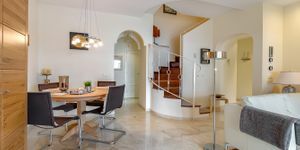 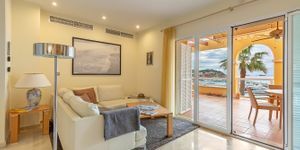 This exclusive penthouse apartment is located in Nova Santa Ponsa in a sensational location in first line. 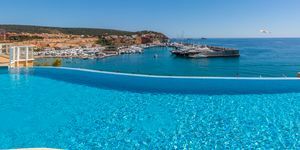 The small complex with only 20 apartments offers a fantastic sea view and overlooking the luxury marina Port Adriano. 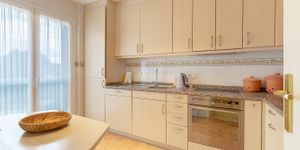 The apartment consists of two levels and is divided in the entrance area into the living area with a terrace, fitted kitchen with utility room, as well as two bedrooms and a bathroom. 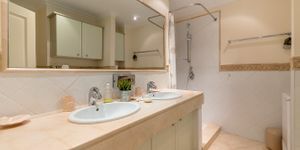 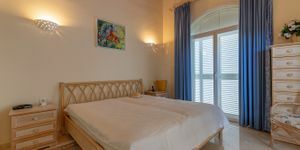 The upper level has the master bedroom with a dressing room and en suite bathroom, as well as a beautiful sun terrace.